Giant Veil of "Cold Plasma" Discovered High Above Earth | Watts Up With That? Clouds of charged particles stretch a quarter the way to the moon, experts say. Clouds of “cold plasma” reach from the top of Earth’s atmosphere to at least a quarter the distance to the moon, according to new data from a cluster of European satellites. Earth generates cold plasma—slow-moving charged particles—at the edge of space, where sunlight strips electrons from gas atoms, leaving only their positively charged cores, or nuclei. Researchers had suspected these hard-to-detect particles might influence incoming space weather, such as this week’s solar flare and resulting geomagnetic storm. That’s because solar storms barrage Earth with similar but high-speed charged particles. Still, no one could be certain what the effects of cold plasma might be without a handle on its true abundance around our planet. “It’s like the weather forecast on TV. It’s very complicated to make a reasonable forecast without the basic variables,” said space scientist Mats André, of the Swedish Institute of Space Physics. “Discovering this cold plasma is like saying, Oh gosh, there are oceans here that affect our weather,” he said. 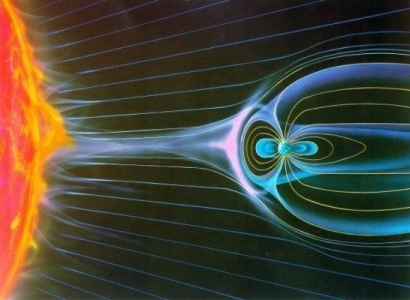 “The magnetosphere—the shield of ions and electrons that envelops Earth—extends far beyond the atmosphere, defending the planet from the harmful solar wind. 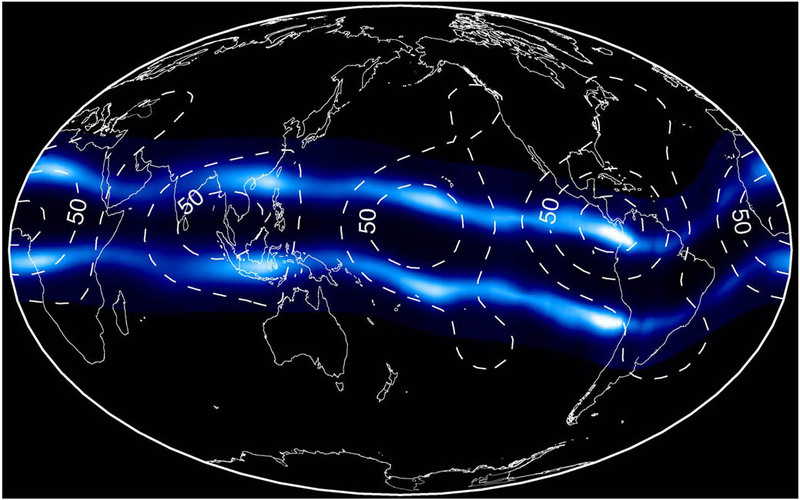 Charles “Rick” Chappell, a physicist at Vanderbilt University in Nashville, Tennessee, led a research team that assembled information dating back decades to describe the new magnetosphere layer. Some of the first hints of the cloak first showed up in data from research satellites in the early 1970s. The cloak was finally confirmed by NASA’s Polar satellite, which ended a 12-year run in April 2008. The more we know the less…. Mars is missing its atmosphere for two reasons. 1. The Hellas basin impact. 2. The mean free velocity for nitrogen, Oxygen, methane, and hydrogen is higher than the escape velocity of the planet. That is also why what is left is mostly CO2 as the molecules are 1.4 times heavier than N2. I really wish that people would quit looking for other reasons for something that has been explained decades ago. Encircling the equatorial region of the Earth, and extending to latitudes nearly as far as the Arctic Circle, are regions of space where powerful flows of particles exist. Since the late 1950s at the dawn of the Space Age, they have been called the Van Allen belts. They were at one time believed to be particles from the solar wind, trapped by the Earth’s magnetic field. Like an invisible bottle, particles could enter the bottle but would have a hard time leaving. There are actually two belts which are shaped like two nested donuts centered on the Earth. The inner belt contains 10 million-volt, high-energy protons (the stripped nuclei of hydrogen atoms), and is located between 700 kilometers and 12,000 kilometers from the Earth’s surface. The outer belt contains mostly electrons with energies higher than 1 million volts, located between 25,000 and 40,000 kilometers from the Earth’s surface. There are two other important systems of particles that invisibly orbit the Earth: the plasmasphere and the ring current. Both of these systems contain much lower energy particles than the Van Allen belts, although they occupy nearly the same regions of space extending to at least 45,000 kilometers from the Earth’s surface. Low-energy particles, with energies of a few tens of volts, surround the Earth in a vast donut-shaped cloud called the plasmasphere. The Earth’s magnetic field in this region is so strong that the charged plasmasphere particles are pulled along with the Earth’s 24-hour rotation. During times of severe coronal mass ejections, atoms from the Earth’s atmosphere are actually pumped into the plasmasphere in a so-called polar fountain. These fountains can be detected by orbiting satellites as they pass through the arctic and antarctic regions within a few thousand kilometers of the Earth. The ring current extends from 8,000 kilometers to nearly 30,000 kilometers from the surface and occupies nearly the same zone as the much more energetic Van Allen belts. Ring current particles carry energies of thousands of volts. It is not a complete equatorial ring, like the planet Saturn’s rings, but is only at its strongest on the night-side of the Earth. Its strength increases and decreases with the activity in the magnetotail region. During times of severe storminess, when the solar wind magnetic polarity is south-type, the ring current becomes a powerful river of charged particles that create their own intense magnetic field. This field modifies the Earth’s own field and actually decreases its intensity in the equatorial regions of the Earth. The origin of these 100,000-volt particles is something of a scientific mystery. We don’t fully understand how they are energized to such high voltages within the magnetosphere. Thank you again. Now I’ll be up all night adding to my ‘vast wealth of useless knowledge’. A bit of a mis-statement here, I think. where sunlight strips electrons from gas atoms, leaving only their positively charged cores, or nuclei. Even one stripped electron, leaving all the rest, makes a positive ion. It doesn’t have to be nake nuclei!! Thanks – JustTheFacts. This really helps. It suggests that perhaps the impact that created Mars’ Hellas Basin destroyed the magnetic field of Mars. Now I’ll be up all night adding to my ‘vast wealth of useless knowledge’. Quick question. I’m looking at the NASA link provided by you. I assume this NASA illistration wolud be a cross section and if looking from a 90 degree or ‘z’ axis the plasmasphere would be a donut. Also is the Earth’s magnetic field the primary / determining factor locating around the equator. If the Earth magnetic poles were rotated 90 degrees would the orientation be the same with regards to the Earth’s magnetic poles. I guess I asking if the solar winds or the Earth’s magnetic field determines the orientation. Probably not an answer at this point in time but if you have a correct theory please let me know or how to find it. This is cosmic! Did Socrates say that, or was it Don Henley? 1) Are these plasma clouds electrically neutral? I had thought that it is impossible to have a charged plasma in space, although they can conduct massive currents. 2) Does “south-type” mean same polarity as earth or opposite polarity? I was assuming it means that a compass near the sun would point south. So the Earth is surrounded by plasma which is an electric conductor. Now add the Sun’s rotating magnetic field. What happens when a magnetic field rotates around or through an electric conductor ?? Now I`m not proposing electric universe rubbish, but I dont understand why science is in such denial that there must be massive current generated and trasported through our solar system. Unless of course people want to claim that when a magentic rotates through an electric conductor (ie a generator) that it does not induce a current ?? What is the relationship of all this to the Kennelly-Heaviside Layer that was identified almost a hundred years ago? Dennis Ray Wingo: “I really wish that people would quit looking for other reasons for something that has been explained decades ago”. I have to say that I find your grouse rather dismaying. Is not the defending of a consensus what we have come to so despise among certain climate scientists? Should not all scientific theories, even those considered as basic laws, (and especially the long-held “immutable” ones) be questioned from time to time, particularly in the light of fresh research and data or even just an approach from a fresh angle? Is that not what Popper’s falsifiability is all about, or have I as a layman misunderstood it? If the established theories and laws hold good, so much the better. Should not all scientific theories, even those considered as basic laws, (and especially the long-held “immutable” ones) be questioned from time to time, particularly in the light of fresh research and data or even just an approach from a fresh angle? Yes, they should and are all the time. What is reported here is confirmation of long-established knowledge. Hum? here is what the article said Leif, including what it said about Mars losing its atmosphere. While the headline may be over dramatic, was all of the following already well known? “four spacecraft which zip around Earth in an elliptical orbit—found evidence of positively charged, slow-moving (hence “cold”) plasma particles as far as 60,000 miles (100,000 kilometers) above Earth’s surface. The results imply cold matter constitutes between 50 and 70 percent of all charged particles in Earth’s magnetic field! That’s quite a jump from zero percent. Because astrophysicists are not electrical engineers. Very interesting and another item to add to the long list of influences on climate and another one ignored by the climate models. Earth’s atmosphere, as a subsequent commenter innocently (?) misinterpreted it. who just happen approve of their particular and peculiar brand of research. it as best as they can. They denigrade non-supporters as “deniers”. selling something that isn’t really confirmed by the facts as they are coming in. That´s a problem, indeed. But if every “modern” gadget, from toasters, pc´s to iPhones or Blackberries, we use today is powered by electricity, would´t it be advisable to teach kids, from the primary school the principles of electricity? That would make a real change in the future. That´s the Earth´s Corona!!. When will our humble earth evolve to be a decent Sun? Are you saying ‘The science is settled. Nothing to debate.’ ? One would have thought some of this was discovered, proven or disproven commencing with Apollo 11 in 1969. Has anyone here ever taken a simple coil consisting of 2 or 3 loops of wire a three of four feet (a meter) in diameter and move it first across then in-line with the earth’s magnetic field with said loop of wire connected to a sensitive millivoltmeter for observation of the EMF created? The strength and speed of spin the sun magnetic field would be tiny on that scale (I assume??). The voltage might be so low that they would undetectable (I assume?). But on the scale of the planet, the massive plasma surrounding us (conductor) should have a massive energies generated (again, I assume) by a plantary sized magetic field. The CLUSTER group is giving us detection, possible mapping, an understanding of its implication on spaceweather as well as earth weather. And much more..discovery of strong electric fields in unexepected places..which the EU is already running with..
For decades, space physicists have struggled to accurately detect low-energy ions and determine how much of the material is leaving our atmosphere. The satellite André works on, one of four European Space Agency CLUSTER spacecraft, is equipped with a detector with thin wire arms that measures the electric field between them as the satellite rotates. But, when the scientists gathered data from their detectors, two mysterious trends appeared. Strong electric fields turned up in unexpected regions of space. And as the spacecraft rotated, measurements of the electric field didn’t fluctuate in the smoothly changing manner that André expected. “To a scientist, it looked pretty ugly,” André said. “We tried to figure out what was wrong with the instrument. Then we realized there’s nothing wrong with the instrument.” Unexpectedly, they found that cold plasma was altering the structure of electrical fields around the satellite. Once they understood that, they could use their field measurements to reveal the presence of the once-hidden ions..
.As scientists use the new measurement method to map cold plasma around Earth, they could discover more about how hot and cold plasmas interact during space storms and other events, deepening researchers’ understanding of space weather, André said..
..And closer to home, if scientists could develop more accurate space weather forecasts, they could save satellites from being blinded or destroyed, and better warn space station astronauts and airlines of danger from high-energy radiation. While low-energy ions are not responsible for the damage caused by space weather, they do influence that weather. André compared the swaths of ions to, say, a low-pressure area in our familiar, down-to-Earth weather — as opposed to a harmful storm. It is a key player, even if it doesn’t cause the damage itself. “You may want to know where the low-pressure area is, to predict a storm,” André noted..
See figures 2-3. Compare to what you know about the IBEX Ribbon. Are we seeing a dent in the heliosphere, caused by a higher concentration of southern hemispheric TeV cosmic rays, causing excess southern helisopheric pressures? Or am I imagining this? Why did you change the term “Warm Plasma” which National Geographic used to “Cold Plasma”? Moving charges in space=forbidden issue. We owe everything to moving charges: From the working of our own bodies to our mobile phones. The negation of the role of electromagnetism in the universe it is only explainable as agnosticism, as the fear of gnosis. There were comments in the above article referring to the demise of the Martian atmosphere. We always seem to remark about the many craters, holes in Mars surface. I live in Wisconsin and there are alot of holes here and round this planet as well. But not what I wanted to share. Recently two Mars missions and a comet named Lovejoy. Brought to my attentions again our slavic Russian brothers..
Their possible theory of the demise of the atmosphere on Mars, a past descreening of the helisophere up to 2 AU. Hmm one of those dense molecular clouds passing thru.. In yet another article, we are discovering Ices (plural) in them there dense molecular clouds. But our Russian friends in the space dealo may be on to something. I would think partly motivated by some mass die offs in Siberian regions in Earths recent past. WPR is reading the The Tiger, based in on a man eating siberian tiger, in Russia. Interesting perspective, in understanding the instincts of this animal..an much more.. I have a little trouble with the terms “cold” and “slow moving”. Relative to what? The solar wind, the earth’s TOA, each other, the speed of light, vibration, superman…?? Also, by what mechanism can two orbiting clouds, one of protons (H+ ions) and electrons (e-) keep this spacial difference through time. How does earth’s electromagnetic and gravitational perturbations not affect this stratification? Whether it is called cold or hot knowing everything to know about space as far out as possible is useful. Real scientific research is never a waste and the information will always find a useful purpose even if it is not known up front and especially if it is not intended to serve a political agenda. They’re talking about some mighty wide swaths in terms of 1/3 lunar distance here. These are not some small minute finding here.. Some high percentages found of “cold plasma” heliosphere encounters in that Russian article.. I wish the maths would copy and paste..
1–10 cm–3 (Frail et al., 1991; 1994). The implication of these smaller scale structures on heliospheric pressures and solar cylces slowing down.. lions and tigers? and bears oh know!! Great information. I was not aware of the apparently continuous and dynamic effects from solar wind. Very good read if one can grasp the concept. From 1973 no less. This should be pulled off the shelf and reviewed in the concept of climate / weather impacts. I read this a couple of times and there is a vast wealth of information in that PDF. I will try to make an intelligent comment regarding some points in it later this weekend. Sector Structure Effects and Concluding Remarks are weighing heavily on me now but I need to think about how I can express possible applications and possible effects / theories. ooops ..not 1/3 but 1/4 lunar distance..
Do these hot and cold plasmas interfere with incoming Galactic Cosmic Rays ? If they do, they could have an influence on climate per Svaalgard. I’ve seen estimates of the Earth’s atmospheric pressure being on the order of 250 bar ca. 4 billion yrs ago based on the present loss rate and composition. Mars was also estimated to be in the same range at that time. OT – So, in the Carboniferous, ca. 240 million yrs ago, larger insects evolved due to the higher atmospheric pressure, est. 1.5 – 1.8 bar, allowing greater diffusion distance of O2 into their bodies. Me > I guess I asking if the solar winds or the Earth’s magnetic field determines the orientation. JTF > I am not sure I understand. Do you mean orientation in this sense? ……. I got my answer through a little more research and review of Leif Svalgaard’s link. My initial question (though not physically possible as I can now see) would have been if the Earth magnetic pole were rotated the toward the sun. I could go on to explain what my interest in this was but it is now irrevelant. I tried to make an entry into the “climate variables reference page.”…..
editors, as we already know..
…….preventing anything new to think about…..
Wonder if the rivers veils and cloaks of cold plasma are related to the dark matter the astronomers keep mumbling about? I see you Sly Wolf. He’s definitely making headway. Check back at the list occasionally and you will see the forward progress. Eventually I will research and consider all of the comments. sources and there is no qualification of relevance: High, medium, low…..
…..there were people suggesting Camel dung… but no calculations given. for it…..
the rest should go into the section “unquantified hypotheses” …..
to be calculated to follow) than all the guesswork rubble ….. Think it over and take your time…..
the truth will emerge when the time is ripe for it….. and we can only help a little…. So now it’s the plasma, stupid? And, 80,000 years from what it will be is–e.g., it’s the solar dust, stupid. But, we’ll all be dead. We are all no more than fleas perched on a turd floating in a huge toilet bowl waiting for the next flush. Let’s come down to Earth and overlook the cold plasma for a minute. Would it be possible that in the Earth’s northern artic region for an air column / volume (call it ‘A’) to receive a charge over a given area and the air surrounding / adjoining it (call it ‘B’) being a different or neutral charge, to cause the adjoining air mass (‘B’) to migrate to that initial column of air (‘A’) therefore increasing its overall density and/or even its overall height? Talking theory only, would the air move from region ‘B’ to ‘A’ if the charge at ‘A’ was maintained and ‘B’ was different and therefore lost / changed its charge upon mixing with ‘A’? This would assume that some force maintained that the initial air mass (‘A’) kept its initial charge and strength. Talking theory here. and see how air mass (presumably electrically charged) follows magnetic lines of force. See also NASA’s video link with the title as above. Thanks for the other National Geographic reference. but the warm type looks ambiguous. The terms refer to the thermal component of the distributions but the directed kinetic energy of these types remains unclear. Thank you for the response and the link. Seems that you were ahead of me on that one. I have read Leif Svalgaard’s paper / link several times now. There is something there that I’m not quite sure how to express. It would have to be organized into a long paper that I don’t have the time to invest. I may just note some of my observations from Svalgaard’s and yours that have caught my attention and hope that someone else with greater knowledge than myself has given it serious thoughtor at least look at it. One particular point that was present in your and Svalgaard’s is the concentrated magnetic field split over the northern artic region. This is a point (not only physical) that has my attention. Is there a coincidence that the locationof both positions are over land? Long time since physics and electrical theory on my part so I’m reluctant to use the proper terminology for caution of using the wrong ‘word’ even though I’ve got the concept. I don’t want to create confusion in mislabeling charges, magnetic fluxes, plasma, induced gravitational fields, etc. I believe there is something very important here with regards to climate / weather but I’ve never seen the results of where it was thoroughly researched. Check back over the next couple of days as I go to sleep and wake up on this. There is something kicking around in my brain and I’m not sure how to write it down. If you haven’t read Leif Svalgaard’s paper, please do so. The link is in his first post on this thread. In regards to my earlier questions regarding any possibility of an air mass located over one or both increased vertical magnetic field strength locations. Ref: (eyesonu says: January 28, 2012 at 8:06 pm). Has anyone looked into any correlation of possible surface / lower atmospheric pressure differences between the higher magnetic field strength points (positive charged ?) as noted in your and Leif Svalgaard’s papers vs possible higher or lower atmospheric pressures at similar latitude and elevations between these two locations? This was one of the first things that caught my eye upon reviewing Svalgaard. Would H2O / ocean bodies have a direct effect/cause of the location of the two points of increased magnetic field strength being on land? During a strong solar wind / eruption does the magnetic field of either of the two focal points increase or decrease significantly? Ahhh, so many questions. The strength and speed of spin the sun magnetic field would be tiny on that scale (I assume??). The voltage might be so low that they would undetectable (I assume?). What? We have not managed to build amplifiers yet? My inquisition I trot out is looking for the culprit in the flow rate of the Parana in S. America which tracks Sun spots but only statistically. 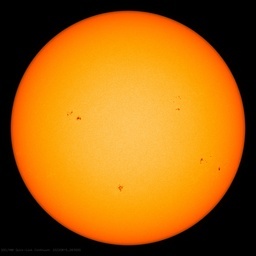 As there is no mechanism because the Sun is constant (Lief), Sun Spots or no Sun spots. So, looking for what makes the Parana different, it just so happens that NASA’s Hubble kept getting into Barney Rubble over the Parana area of S. America which they’ve dubbed ‘The Bermuda Triangle’ of Space but call it the South Atlantic Anomoly. IT even affected the Space Shuttle nav aids. Because under that part of South America is the weakest part of the earth’s magnetic field. WHere the shield extends into space the weakest; where low flying spacecraft get pelted with molecules they don’t see any where else on earth. A chink in the earth’s magnetic armour. This documentary shows this problem the SAA posed to Hubble operations and efforts made to determine the staligraphic topography of the earth’s Molten Iron core (they look like Giant trees). It’s good audio and in HD! by your friends (now) in Salford. No worries, I have been at this for a while and am good at separating the proverbial wheat from the chaff. The variable list is also intentionally broad, as it is intended to be a consummate list. The next list is going to be much more targeted, i.e. only the variables that have a major influence on “Earth’s Temperature”. The vast majority of variables, including some of those that are likely primary drivers, would likely fall squarely in the “unquantified hypotheses” section. It would also be much more difficult to follow/see the big picture if the list was split into two parts. The Potential Variable list will serve it’s purpose, i.e. as a consummate list that we can cull down to the Important Variable list. the Milankovitch stuff has as shortest cycle 19,000 years and all others are much longer…. can throw this into the unimportant stuff for OUR times…..obviously…..
only graphs with coarse waves without exact matching to paleodata …. into the orbit but found NO CAUSE for climate change on “millenium time scale” in it. (15 $US,) ISBN 978-3-86805-604-4 on Amazon.de (in German)…. of the 3. body, i.e Jupiter+Saturn onto the Earth orbit) and in booklet (2) the effect of the real orbit trajectory (comprising Earth’s “libration”, osculation, ligation-shaped trajectory)…. on the climate, with transparent calculations provided…..
[because they are afraid, the real truth might appear] …..
(reason for your list) considered and not collusioned as being “INVARIANT”…..